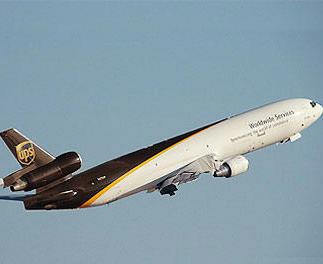 May 20, 2010 – For the first time in its 103 year history UPS will furlough pilots. The first fifty-four pilots will be laid off on Sunday, May 23. This is the first wave of a plan UPS announced in February to layoff at least 300 of its airline pilots. The 2,800 UPS pilots, represented by the Independent Pilots Association, had since April 2009, preserved these jobs through voluntary cost cutting programs. At a time when the number one issue for most Americans is creating jobs, UPS is creating unemployment, said Captain Robert Thrush, President of the Independent Pilots Association. Captain Thrush went on to say, “What makes this furlough truly unfortunate is that our pilots took it upon themselves to give-up pay and benefits to produce $117 million in guaranteed savings for UPS, enough to keep these 300 pilots employed well into 2011”. Under the Voluntary Jobs Protection Program UPS pilots were able to generate cost savings for UPS by taking reductions in flight pay guarantees, taking unpaid leaves of absence, participating in job sharing, taking military leave, contributing unused sick bank time and taking early retirement. This all came to a crashing halt on January 11 when UPS pulled a bait and switch. “They told us that they now needed $244 million in savings through 2015, and that its preference was for 'compulsory savings' UPS speak for furloughs”, said Captain Thrush. He went on to say, “while we were taken back by UPS almost doubling its original request and tacking on an additional four years, our pilots didn’t flinch”. “They were more than willing to step-up, extend and expand the Voluntary Jobs Protection Program to cover UPS's demands, and keep the 300 employed”. On February 8, within days of UPS CEO Scott Davis declaring “looks like this recession is finally over”, UPS told the IPA that it was unwilling to continue with current voluntary savings programs, or consider others, it began the furlough process, and issued a press release. “What I find the most galling are the disingenuous statements in the UPS press release. They mockingly hold out hope that the furloughs may be mitigated, averted, or eliminated and shamefully attempt to place blame on the pilots for somehow failing to act”, said Captain Thrush, who went on to say, “At a time when unions are being excoriated, and blamed for a litany of economic ills it's important to remember that one union covered the cost to save 300 jobs – instead UPS chose to create unemployment and add to local, county, state and federal unemployment and social services rolls”.